If you have been injured on business property due to owner or employee negligence, you may be entitled to compensation. Premises liability is a term that refers to the law which makes the person who is in possession of land or responsible for its maintenance, responsible for any injuries or death suffered by someone who is present on the property. This liability includes inadequate security. Inadequate security is when the owner or operator of a facility has the duty of exercising reasonable care for the safety of persons on his premises and the duty of not exposing such persons to unreasonable risks of injury or harm. 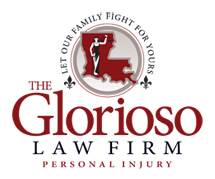 An example of this is a case The Glorioso Law Firm handled for a plaintiff who was shot and paralyzed during an armed robbery attempt while walking out of a parking lot located in the historic French Quarter in New Orleans, LA. Even though the plaintiff was on public property when the shooting occurred, on a corner adjacent to the parking lot, it was the responsibility of the parking lot owner to provide adequate security. In this particular case, the defendant had actual or constructive knowledge and could foresee such an incident occurring, but failed to warn patrons. A proprietor of a public place owes a duty to guests to protect them from insult, annoyance and danger. Guests have a right to rely on the belief they are in an orderly house and or protected from injury by the exercise of reasonable care for their safety by the operator of the establishment. A business that invites the public onto its premises or property must take reasonably necessary acts to guard against predictable risks of assaults or injury due to another person’s actions, especially if the owner fails to provide adequate security. A business which is negligent in providing security or which provides inadequate security is responsible for damages by its patrons as a result. When determining liability on the part of the owner, several factors are taken into account, first and foremost preserving vital evidence, so it’s important that if you are injured while on someone’s property, that you speak to a personal injury attorney. Let our family fight for yours so you can receive the justice you deserve.